1500 metres offshore yesterday, the CV Eems Spring has now drifted in to less than a kilometre away today. 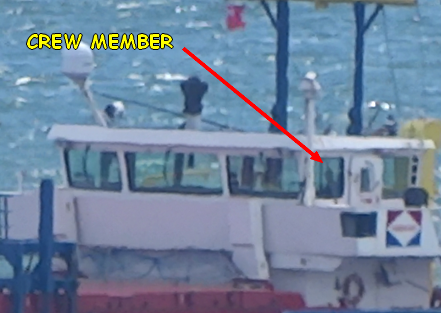 Presumably awaiting loading from Teignmouth docks, she is, nevertheless, pretty close in. You know they're close when you can see the crew!